Derwent Bridge is at the southern end of the Cradle Mountain-Lake St Clair National Park and surrounded by wilderness country with a wonderful mix of animals and birdlife. The Tasmanian tiger used to roam freely in these parts and ‘unconfirmed’ sightings in the area are still reported to this day. Beautiful Lake St Clair, the deepest fresh water lake in Australia, is just a 10-min drive away. 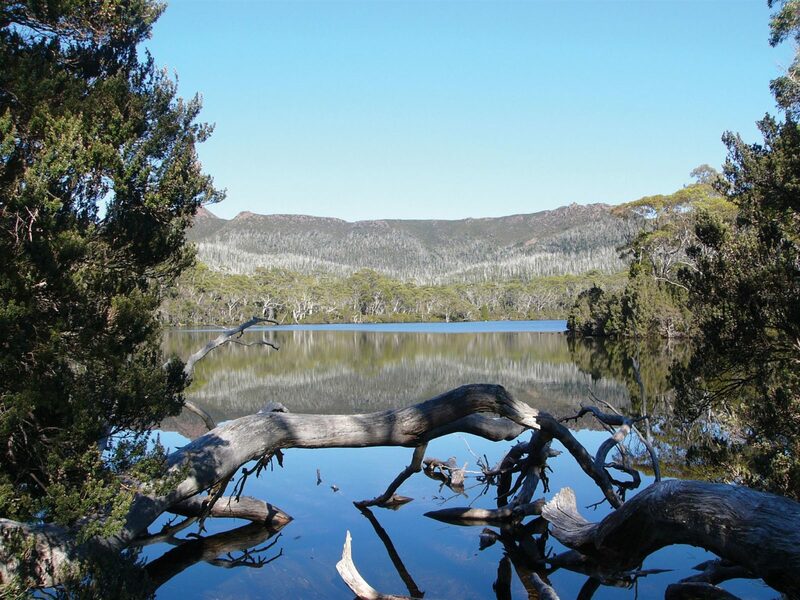 You can enjoy the lake and its surrounding mountain range on a ferry cruise, or you can take the cruise one way and walk back on a well-marked track through Tasmanian World Heritage Wilderness. This is the last section of Tasmania’s’ famous Overland Track; the tack emerges at Lake St Clair after leaving Cradle Mountain in the north. The splendour of the surrounding mountains – especially Mt Rufus, Mt Hugel and nearby Mt King William, together with their natural forests has to be seen to be believed and in winter these snow covered peaks look even better – like a compact version of the Swiss Alps. There are wonderful walks – ideal for both casual and serious walkers and for fishing enthusiasts the rainbow and brown trout fisheries are world renown. 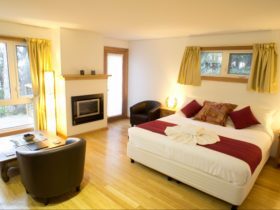 Accommodation includes self-contained chalets and studios, hotel-style rooms and backpacker lodgings with the local roadhouse offering fuel and snacks. Derwent Bridge is a 2 hr 25-min drive (174 km) from Hobart. 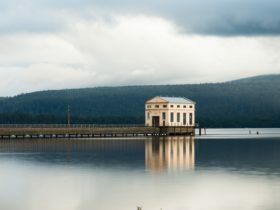 Derwent Bridge is a small Tasmanian Rural Location within the local government area of Central Highlands, it is located approximately 122kms from the capital Hobart covering an area of 96.564 square kilometres. Derwent Bridge has a recorded population of 23 residents and is within the Australian Eastern Daylight Time zone Australia/Hobart. If you are planning a visit to Derwent Bridge we’ve put together some of the things nearby that you can see or do while you are here. These include, places to stay, tours and attractions, some upcoming events and places where you can grab a meal. Go ahead, try one of the buttons above. Every destination has something worth seeing so start exploring… If you know Derwent Bridge and think we’ve missed something, let us know and we’ll share it here.